Before you walk down the aisle, place this ring on the finger of your bride-to-be and get ready to share in many memories together. 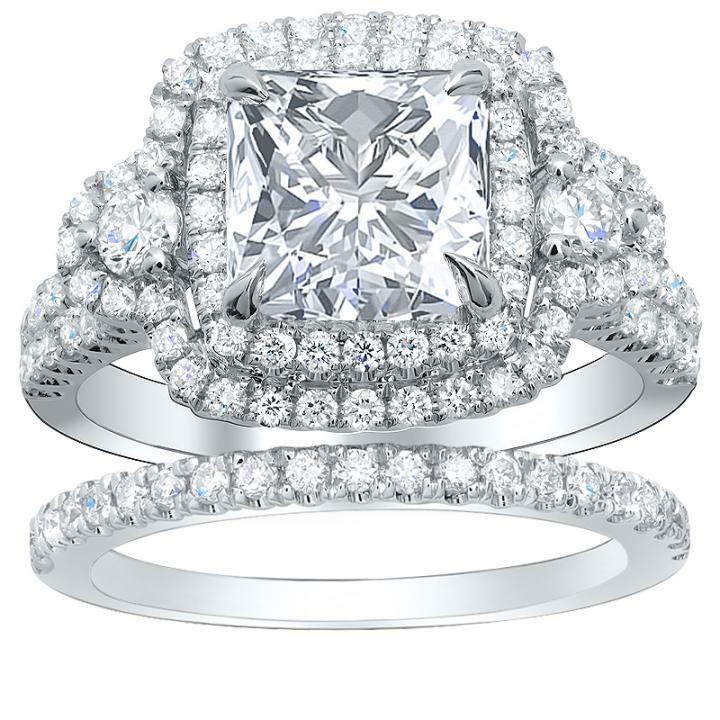 This ring is gorgeous and has numerous diamonds with its double halo side-stones surrounding the center diamond that can come in various colors and cuts. 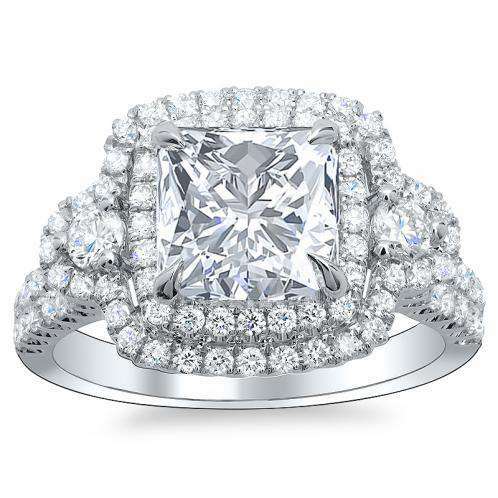 Dripping in diamonds that flow down the vintage wide shank this ring is a dream come true! Not only is this ring absolutely beautiful, it is also a wonderful investment piece in your long-term commitment to each other and the life that you plan to build together. Customize this ring and make it truly come from your heart with the help of Diamond Mansions' Rings, who specializes in an “A+” experience and matching your love one with the perfect ring!